For current and former Qantas WA staff, this is an informal Sundowner event to catch up with friends and colleagues, past and present. 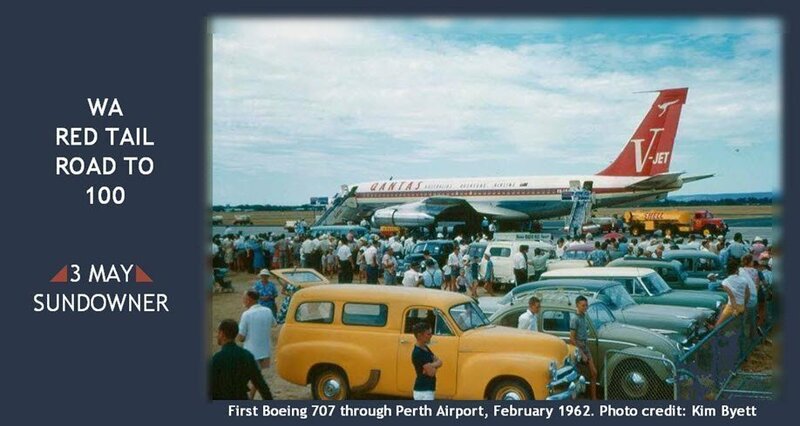 This is the penultimate in the series of events leading up to the Qantas centenary celebration in November 2020. Partners are welcome (by ticket purchase)! Cost includes substantial finger food; drinks are available from the cash bar at reasonable prices. Come and enjoy a fun evening of reconnecting and reminiscing at this great location! Event Notes:Substantial finger food included. Cash bar available at reasonable prices.